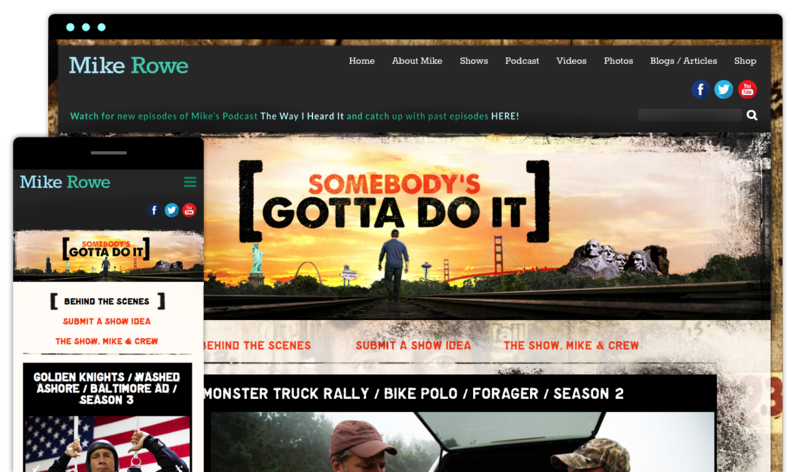 Working directly with Mike Rowe and his team, we produced several online marketing initiatives to reinforce his launch of his new show on CNN “Somebody’s Gotta Do It”. We had people from all over the united states singing the “somebody’d gotta do it” theme song for the new series having YouTube as a the main video partner. All videos were showcased on the website along with many on CNN as the show premiered. Besides the viral stuff, we also designed and updated many additions to his current website.